Ceylon Frogmouth or Sri-lankan Frogmouths are found in the western ghats of South India and Sri Lanka. They are nocturnal birds and are found in forest habitats. 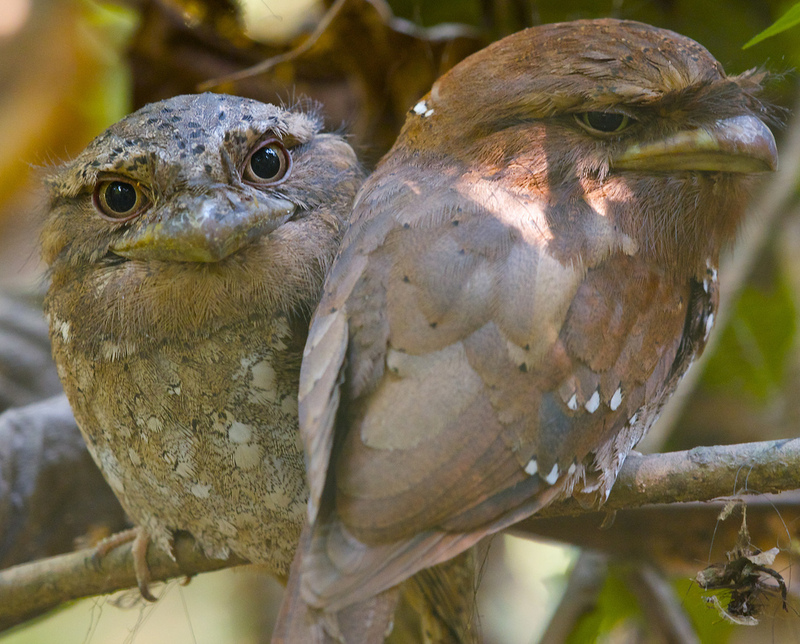 Frogmouths generally roost on the branches in the forest, their habitat is dense tropical forest, these birds resemble dried leaves making them extremely difficult to locate. This picture was shot at Tattekad (Kotthamangalam forest area), 80 kms from Cochin, India. I found it extremely challenging to photograph these birds mainly because of the low light condition and the birds look like dried leaves! A tripod or a monopod comes handy to photograph frogmouths or one should have a wide open aperture (low aperture lens). This was shot handheld at 1/25 shutter speed and f5.6 with a 1600 ISO. < Hampi , where ruins still live..
hehehe, they look like angry birds. how did you approach this birds? were they sensitive to human presence? well , they were at around 6-8 ft distance from me , they are sensitive to human presence , since they cant see during day all we had to do was quietly approach them. They roost at a same perch for months together so incessant human intervention could make them leave the perch permanently.